Medicare is a federally sponsored health insurance program available to those over the age of 65, as well as to individuals who have certain disabilities. At the state level, however, there exist specific organizations that help beneficiaries better understand the Medicare process, and Medicare recipients may even qualify to receive state subsidies, depending on their circumstances. Consider the following information if you are interested in obtaining Medicare coverage in the state of California. Medicare Advantage Plans cover all that Medicare Part A and Part B cover, and may include additional benefits. Medicare Part D plans can be paired with Medicare Part A and Part B to cover the costs of prescription drugs. Medicare Supplement Insurance Plans can be purchased in addition to Medicare Part A and Part B. These plans provide coverage for co-payments, deductibles and coinsurance, and some also cover medical services not covered by Medicare Part A and Part B. These Medicare plans are offered by private insurance companies that are approved by Medicare. These plans generally have a monthly premium amount you are responsible for, an additional to your Part B monthly premium. The costs for these plans can differ depending on the company offering the plan and on your location. 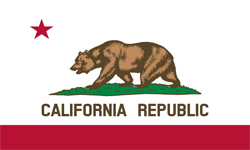 Medicare Savings Programs in the state of California. Medicare can prove to be costly for some people, especially if you need regular prescription drugs and medical attention. If you need help with paying for these costs, in some cases, Medicare Savings Programs may also pay Medicare Part A (Hospital Insurance) and Medicare Part B (Medical Insurance) deductibles, coinsurance, and co-payments if you meet certain conditions. There are four Medicare Savings Programs available in the state of California for which you may qualify. *The following data is from 2017 and is based on Federal amounts. If your income from working and resources are slightly higher, you should still apply, you may qualify for benefits even if your income is higher than the limits listed. *Qualified Medicare Beneficiaries (QMBs): The program helps pay for Medicare Part A and Part B premiums, as well as co-payments, deductibles, and cost-sharing. For individuals, the monthly income limit is $1,025, and for married couples, it is a monthly income limit of $1,374. *Specified Low-Income Medicare Beneficiaries (SLMBs): The program helps pay the Medicare Part B premiums for individuals with a monthly income under $1,226, and for married couples with a combined monthly income under $1,644. *Qualified Individuals (QIs): The program may pay for Medicare Part B premiums for individuals with a monthly income under $1,377 and married couples with a combined income under $1,847 a month. *Qualified Disabled and Working Individuals (QDWIs): The program helps pay for Medicare Part A premiums for individuals with a monthly income limit under $4,105 and married couples with a combined income limit under $5,499 per month. Low-Income Subsidy (Extra Help) Program: In 2017, you may qualify if you have up to $18,090 in yearly income ($24,360 for a married couple) and up to $13,820 in resources ($27,600 for a married couple). California HICAP also helps Medicare patients and works on their behalf with claims and disputes through a network of hundreds of trained, certified HICAP volunteers throughout the state of California. Residents in California who need help determining which plan is the right one for them can consult with a licensed sales agent at MedicareSolutions.com for personalized assistance on what’s locally available. The licensed sales agents at MedicareSolutions.com can help compare plans and find the right match for your needs.